The essays in Inciting Poetics provide provocative answers to the book’s opening question, “What are poetics now?” Authored by some of the most important contemporary poets and critics, the essays present new theoretical and practical approaches to poetry and poetics that address current topics and approaches in the field as well as provide fresh readings of a number of canonical poets. The four sections—“What is Poetics?,” “Critical Interventions,” “Cross-Cultural Imperatives,” and “Digital, Capital, and Institutional Frames”—create a basis on which both experienced readers and newcomers can build an understanding of how to think and write about poetry. 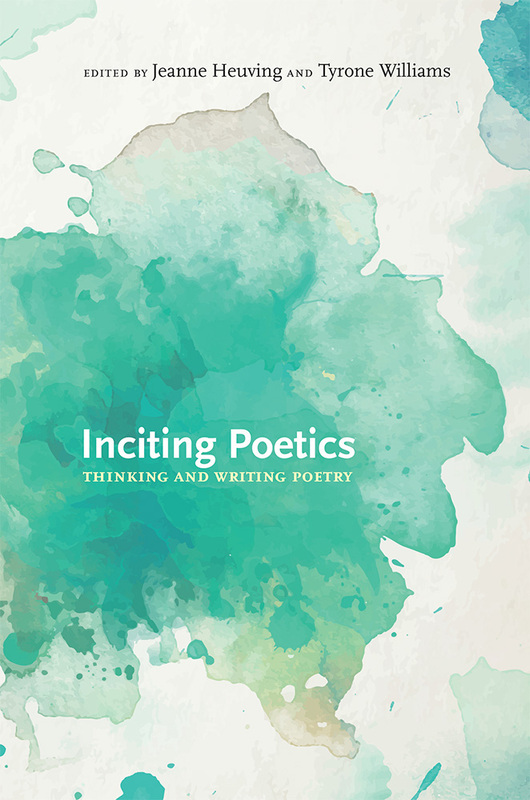 The diverse voices throughout the collection are both informative and accessible and offer a rich exploration of multiple approaches to thinking and writing about poetry today. Jeanne Heuving is a professor and the founder and first director of the MFA in Creative Writing and Poetics in the School of Interdisciplinary Arts and Sciences at the University of Washington, Bothell. She is the author of The Transmutation of Love and Avant-Garde Poetics and Omissions Are Not Accidents: Gender in the Art of Marianne Moore. Tyrone Williams is a professor and the director of the Department of English Graduate Program at Xavier University. He is the author of five books of poetry and seven poetry chapbooks and the editor of African American Literature, Revised Edition.